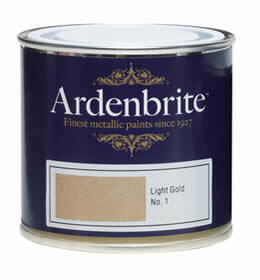 Metallic Paint - Range of traditional metallic colours available - Blackfriar Interior & Exterior Gold & Aluminium, Johnstones Aluminium, Ardenbrite gold, copper, old penny bronze etc, Eternal Exterior Gold. 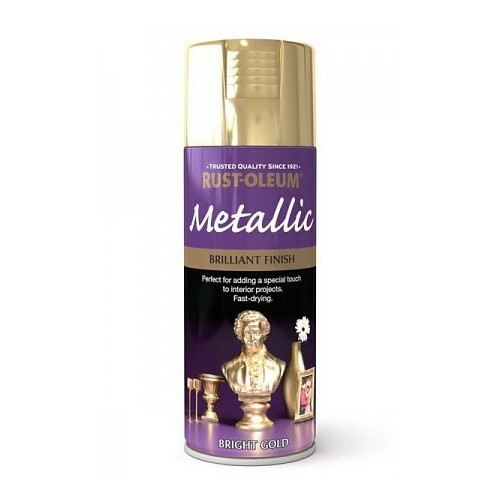 Blackfriar Metallic Paint is a bright metallic finish for decorating and gilding ornamental plasterwork, wood, metal railings, picture frames, models, flour-de-lis, memorabilia & furniture. 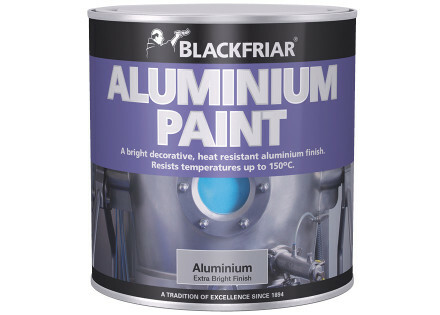 Blackfriar Aluminium Paint provides long-lasting, heat-resistant protection for interior and exterior surfaces. You can use it on metal and wood, on surfaces including car wheels, gates, railings, pipework etc. Johnstones Aluminium Paint is a solvent-borne, protective metallic finish based on an oil varnish and aluminium flake. Withstands temperatures up to 150°C and holds solar reflective properties. Coverage: Approximately 14-16 square metres per litre. Drying Time: Touch dry in 4-6 hours. Recoatable after 16-24 hours in normal conditions.